Data breaches are a common occurrence in this day and age, and vulnerability can cost you far more than physical theft – it can cost you your customers. This is why it is important that your business has a comprehensive cyber-security strategy, which covers all your digital assets. In a previous CH Consulting Group post we mentioned how all the technology your business implements should be thoroughly tested to make sure there are no gaps, which could detract from the customer experience. Worse, it could leave your customers vulnerable to cyber-attacks due to security gaps. If cyber security breaches can happen to Home Depot, Target and other large retailers, it’s important to understand that the potential is there for any business to experience this problem. In today’s intensely competitive marketplace, customer experience is becoming the key brand differentiator between client retention and loss and will surpass variables such as prices and products, as companies compete for clients. In other words, Customer Think claims that it won’t matter how great your products are or how low your prices are, if your customer experience is lacking, your business will not stay afloat for long. And that starts with providing customers a safe online environment for buying your products or services. Having a secure website is one aspect to ensure your client retention, as research from Hubspot indicates that 85% of clients surveyed in the US will leave a site if they know it does not provide SSL encryption and isn’t secure. 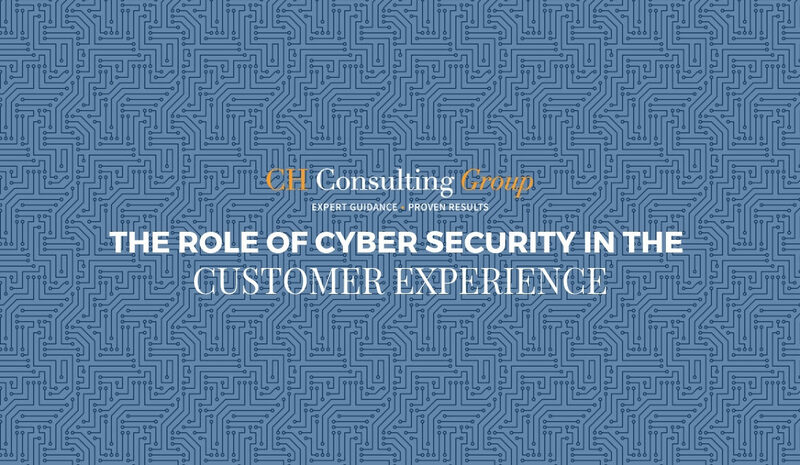 This is the first step in making cyber security part of the customer experience and it includes having properly trained personnel to proactively deal with any security vulnerabilities, before they are exploited. Maryville University notes how cyber security professionals should be well versed in building defensive and preventive strategies, to effectively deal with any threat. It is important that threats are contained, before they have a chance to affect your customers. How do you evaluate your business’ data breach strategy and response plan? According to security experts, it involves a holistic approach that takes into account your entire organization, no matter its size. Director of Consulting for CyberScout, Eric Hodge, told Security Magazine that an effective cyber security strategyconsiders all stakeholders within a company, whether they are IT, legal, CFO, COO or even the CEO. This will not only help evaluate any shortcomings, gaps and strengths, but will treat it as a team-oriented process, which will create accountability and awareness throughout the entire organization. The key is then to ensure that policies and procedures are improved every year, including staff training and refreshers in how to deal with and respond to certain threats vis-à-vis your customer. It also continues with customer education of new and improved security measures; while some clients might find these tedious and frustrating, like various secure passwords and other authentication methods, part of the customer service experience you provide will be to effectively explain how these measures are in place to protect both parties. Cyber security, therefore, is a never-ending process which focuses on continual improvement and learning which does not stop if your business wishes to attract more customers and more importantly, retain your existing customer base. CHCG is the world’s premier consulting company for the BPO/Contact Center and Customer Experience Industries. We believe in delivering customized solutions with our client’s ROI as our main driver for excellence. Contact us today for an in-depth assessment of your current organization, and to see what CHCG can do for you.